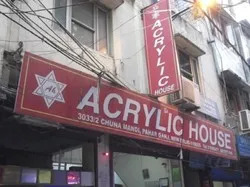 Established in the year 1990, we, “Acrylic House”, are an accredited trader, importer, supplier, distributor and wholesaler of an impeccable range of Acrylic Sheet, Poly Carbonate Sheets & Films, Polystyrene Sheets and Plastic Mirror Sheets. Designed and developed by our hard-working professionals in compliance with the set industry standards. In order to meet the variegated requirements of our patrons, we also provide these Acrylic Products in different sizes and dimensions. 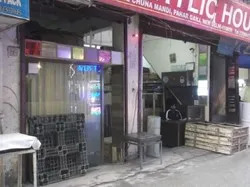 Owing to our reliable vendors and professional squad, we are able to offer these products to our esteemed clients in different specifications and designs as per their specific requirements. We also take their valuable feedback in order to improve our productivity. Furthermore, we offer these in different specifications as laid down by the customers. Backed with the most certified vendor base that enable us to offer our valuable customers quality assured acrylic products. Our vendors are selected on the basis of their market standing, industry experience, financial solidity and client’s response. We assure our customers that these products are methodically examined on various quality parameters using latest testing devices and tools. Their machinery installed at manufacturing base is upgraded on regular basis according to the latest technological advancement. Besides, our team has been categorized in various sub departments such as procurement agents, quality controllers, sales & marketing personnel and delivery staff to provide smooth functions. We import our products from major parts of the globe. Under the visionary guidance of our mentors, 'Mr. 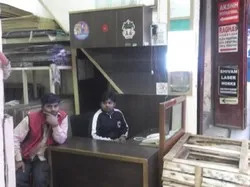 Ashutosh Gupta and Mr. Vikas Gupta', we have attained tremendous success in this highly competitive domain. Their brilliant managerial skills, in depth industry knowledge, rich experience and vibrant leadership qualities have enabled us to stand ahead of our industry counterparts. Assisted by a team of talented professionals, which enables us to maintain our remarkable position in this industry. The experts working with us are masters of their respective fields that helps in successful accomplishment of assigned tasks. Well-versed with operating and handling knowledge of varied machines, our experts maintain synchronization among each other as well as with the patrons to know their exact requirements and offer them products accordingly. 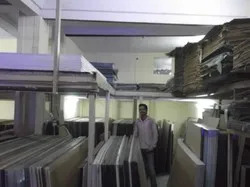 Our organization is assisted by a prestigious vendors of the market to offer quality Acrylic Sheet, Poly Carbonate Sheets & Films, Polystyrene Sheets and Plastic Mirror Sheets to our customers. These vendors are selected with the help of our procurement agents, who accomplish in depth market research in order to select them. Our reliable vendors are backed with skilled professionals, who constantly work over the growth of our firm. All the products offered by us are made using best quality raw material and in compliance with the industry standard. Installed with latest machinery, their manufacturing unit is upgraded on regular basis to cope up with the latest technological developments. With an immense pleasure, we have established ourselves as one of the leading name engaged in trading, importing, supplying, distributing and wholesaling of an assortment of quality Acrylic Sheet, Poly Carbonate Sheets & Films, Polystyrene Sheets and Plastic Mirror Sheets. Our company has continuously gained appreciation by our esteemed patrons for our quality centric approach and timely delivery.